We are pleased to announce that Professor Archie Johnston has accepted the University's offer of appointment as the next Dean of Engineering and IT. 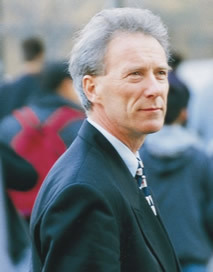 He will join the University on 3 August as Dean Designate, working closely with Professor Hancock before taking up the Deanship on 1 September. Professor Johnston is a Fellow of the Australian Academy of Technological Sciences and Engineering, Engineers Australia, and The Institution of Civil Engineers. He is currently Dean of Engineering and Information Technology at the University of Technology Sydney, Chair of the Centre for Leadership and Management (CELM) (Engineers Australia), Advisory Professor to Shanghai Jiao Tong University, Advisor to the Associated Chambers of Commerce and Industry of India, Delhi, Advisor to the Reliance Group of India, Director of Insearch and Member of the Australian Institute of Company Directors. He was Chair of the Judging Panel for the 2009 Australian Construction Achievement Awards. He was the Sir John Holland 2007 Civil Engineer of the Year and 2007 Entrepreneurial Educator of the Year of the Business and Higher Education Roundtable. Professor Don Nutbeam, Provost and Deputy Vice-Chancellor, welcomed Prof Johnstone "the Faculty has performed very well under Professor Hancock's stewardship. A number of challenges remain and the Vice-Chancellor and I are confident of Professor Johnston's ability to lead the Faculty forward. I am sure all of you would like to join me in wishing him the very best in the role."